In previous articles we’ve discussed how to configure cgminer for the latest AMD video cards to mine Litecoins (or for that matter, any Scrypt-based coin). Today I’ll explain how to maximize your earning potential by putting that idle CPU to work for you as well. First off, I’m going to focus on my favorite “other” alt coin – Primecoin. Primecoin is a proof-of-work coin that focuses on finding chains of prime numbers. You can read a lot more about the coin Wikipedia if you are unfamiliar. 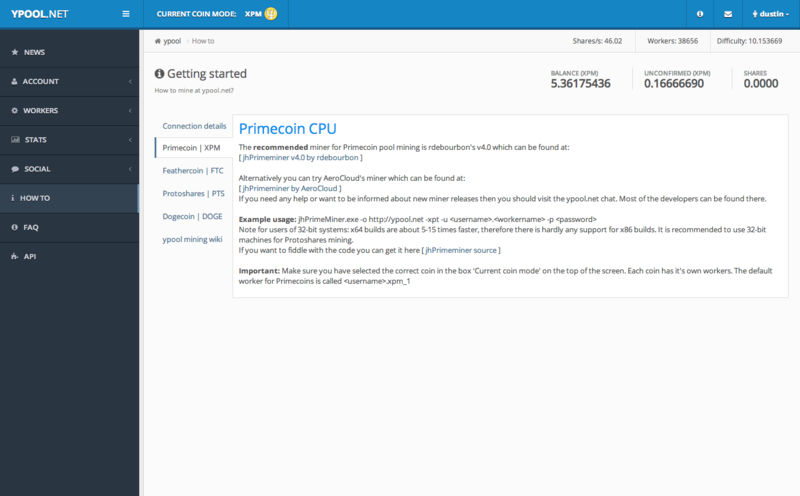 Primecoin can be mined in tandem with Litecoin as Primecoin is mined using your CPU. Your mining rig is already running, why not earn some other currency while its cranking away on Litecoin already? The first thing you’ll want to do is setup your mining pool account. There aren’t a lot of pool options, but I’ll recommend ypool.net as they have the best stats and largest share of the market so your stales and invalids should be at a minimum. Another option could be rpool.net but I personally haven’t used them. Once you’ve created your account, you’ll want to create a worker. You should create a worker for each computer you plan to mine with. I’m using 3 different machines for CPU mining, so I have 3 different workers. You can just use one worker, but it’s harder to troubleshoot and in VARDIFF situations, can mess with your difficulty. Next, you’ll need to configure a miner. I recommend using jhPrimeminer which you can download from the how-to on ypool. Configuring jhPrimeminer is very simple; finding documentation is next to impossible. For most situations, you can start with the default settings. Here’s a few modifications based on common processors. You can also read a lot about the miner on the official release thread. 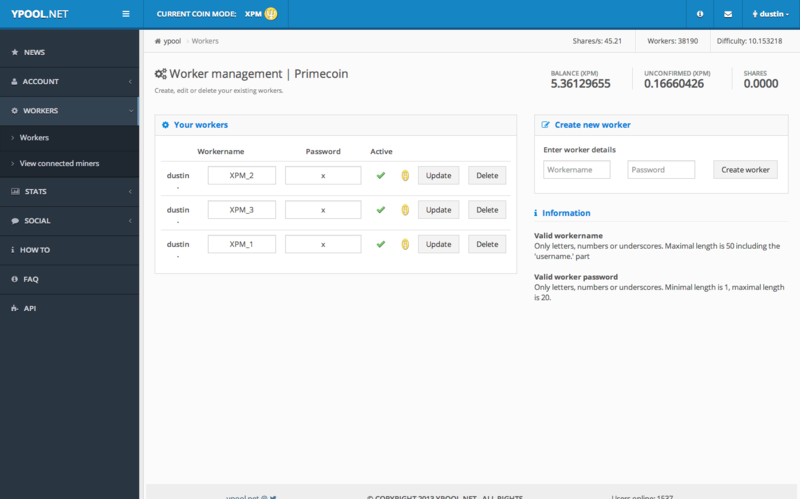 That’s it, you’re now mining Primecoin! Start up your cgminer scripts for Litecoin and you’re earning both on your CPU and GPU, maximizing your KwH usage.